From the moment a man is first introduced to OTTO, his appearance, if not his life, will subtly change. 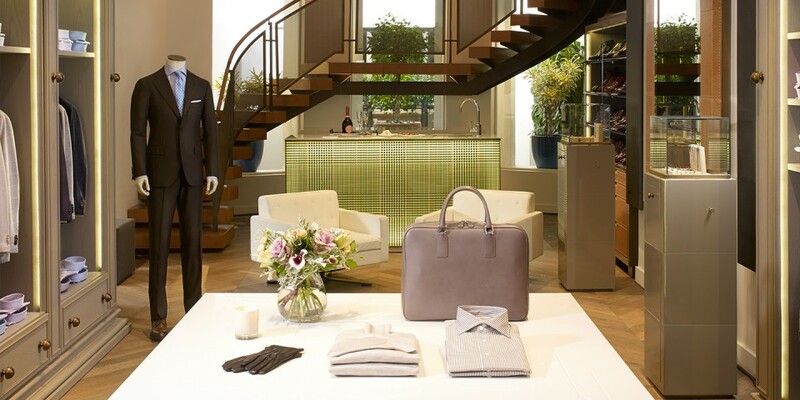 OTTO provides a personal shopping experience like no other, eschewing the distasteful hard sell of mere retailers and seeking to inspire every client with the confidence to know he is looking his best. Walking into the discreet showrooms on Mayfair’s Grosvenor Street, one has the impression of entering a much loved home. 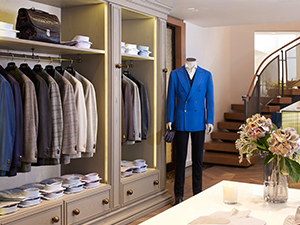 The décor and arrangement of clothing and accessories conveying the impression of an immaculately maintained gentleman’s dressing room – albeit one that dreams are made of. The OTTO experience is discreetly personal, based on the firm belief that only by knowing something of the man, can he be advised successfully about how best to dress, and the ethos is to welcome each client as a guest, free to relax in the comfortable environment and discover their personal style at leisure. On occasion he may walk out of the store without purchasing a single item. But this is what separates OTTO from the rest – the desire to build an on-going relationship and welcome a client with a warm smile whenever he is in London. But if he should decide to make a purchase, he will be doing so with the complete assurance that his new clothes reflect the man, his personality and lifestyle, instead of a designer’s seasonal theme. OTTO selects only the finest hand made clothing and accessories created by skilled Italian artisans, mostly family run businesses that have passed the secrets of their trade down through the generations. Every item exudes a superior refinement of cut and style, which, combined with attention to even the smallest detail – often dictated by an individual client’s preferences – signifies the brand’s philosophy to offer the finest men’s clothing available. The staff are exceptionally knowledgeable and keen to impart information about every aspect of their products, from the weave and advantages of different fabrics to the varying styles of cut available for a pocket. 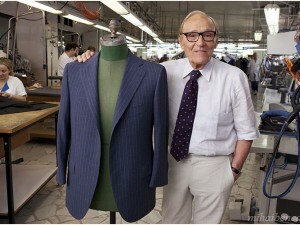 They talk with warmth of the way a jacket should hug the shoulders and feel like an almost imperceptible second skin, how the arm is designed to allow maximum mobility for freedom of movement, or about the twelve hand-stitched processes involved in making even the simplest of white shirts. For the ultimate experience, individual items can be customised to ensure an absolutely perfect fit, or to change subtle details that will reflect a personal impulse. Nothing can be too much trouble in the quest to achieve the OTTO man’s personal style and create an image that stands out from the crowd for the right reasons. However, should a man be passing the boutique he can simply walk in and make that irresistible impulse purchase to take away with him immediately, or shop in the E-store from anywhere in the world, where a large selection of the eight essential items for a man’s wardrobe will fit him out in style for any occasion. The OTTO experience is a rarity, dedicated to offering the finest clothing and accessories in a unique environment with unparalleled customer service, nurturing each client’s personal style. Client’s return year after year because the brand inspires a new confidence in their personal appearance, and it is true to say that one leaves feeling infinitely smarter and more stylish. Having been introduced to OTTO, living ‘La dolce vita’ is an attainable reality.